This is a 1949 extremely clean solid 14k. gold OMEGA measuring a subtle 32.5mm. 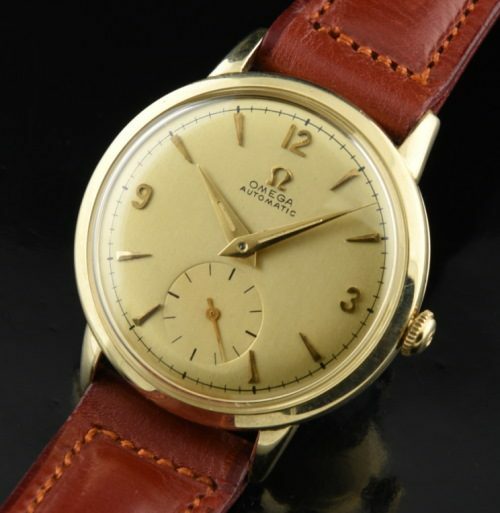 with correct OMEGA winding crown, perfectly restored dial (retaining the original raised gold markers) and Dauphine hands. 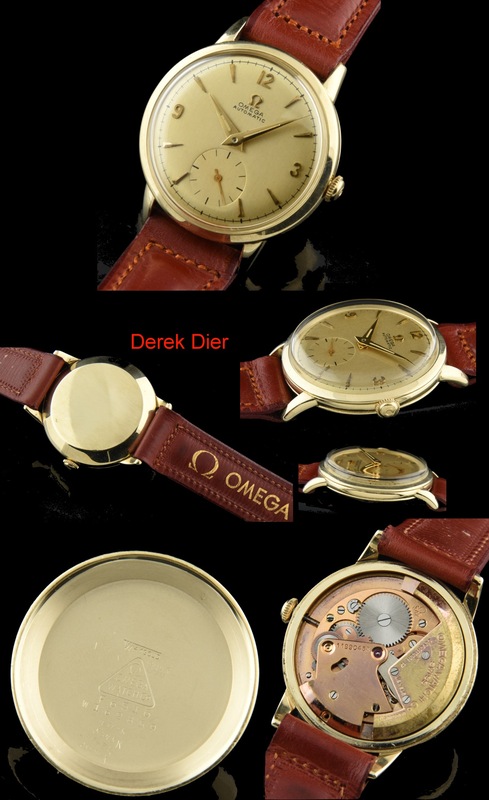 The vintage leather OMEGA band has a gold filled (very uncommon) vintage OMEGA buckle. The early caliber 342 automatic bumper winding movement was just cleaned and is accurate. Priced very well-$1250.